The police has given an update on their investigation into Seungri and former Yuri Holdings CEO Yoo In Suk’s relationship with Senior Superintendent Yoon. In March, the police booked Senior Superintendent Yoon as a suspect after he fell under suspicion of misusing his position as a senior police officer to help cover up the criminal activity of various members of Jung Joon Young‘s group chatroom. He was also booked on suspicion of receiving bribes from Seungri earlier this month. During his questioning, Yoon confirmed that he was an acquaintance of Yoo In Suk, but denied misuse of his position. He has since been reassigned to another station. During a press conference on April 15, the police reported new developments in their investigation into Senior Superintendent Yoon’s relationship with Yoo In Suk and Seungri, including new information that contradicted Yoon’s previous testimony. 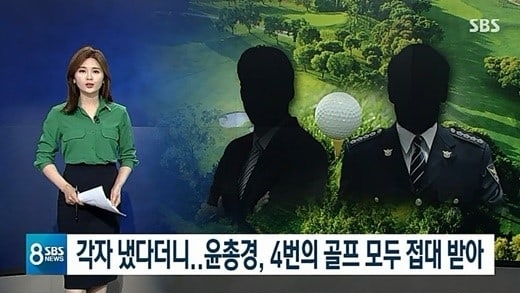 Although Yoon previously claimed that he had only golfed with Yoo In Suk twice, the police have ascertained that they met four times to go golfing together. According to the police, Yoo In Suk and Senior Superintendent Yoon golfed together four times and dined together six times. 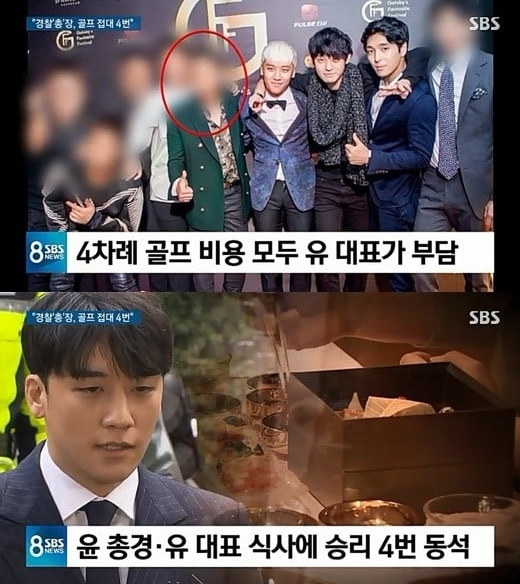 SBS’s “8 O’Clock News” reported that Seungri was also present at four out of those six meals. 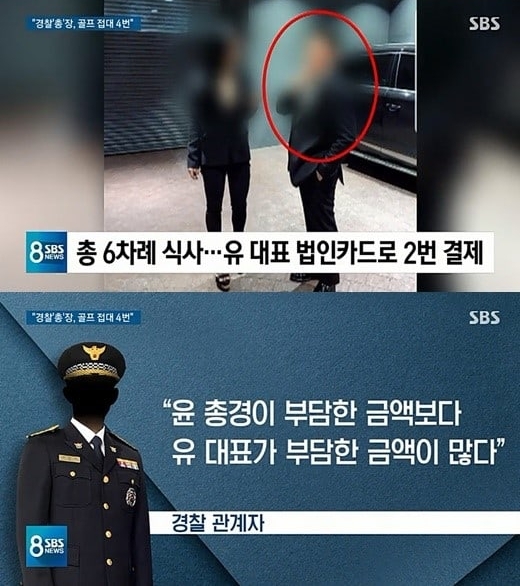 The police investigation also revealed that Yoo In Suk paid for all four golf sessions. As for the six meals, the police have determined that both Yoo In Suk and Senior Superintendent Yoon each paid for two of them. The police are currently investigating Senior Superintendent Yoon’s claim that he paid in cash the other two times. It was also revealed that Yoo In Suk used his company card for the golf sessions and meals with Senior Superintendent Yoon. The police have also decided to reapply for an arrest warrant for Burning Sun CEO Lee Moon Ho. Although Lee Moon Ho was booked on drug-related charges and questioned as a suspect in March, the police’s request for an arrest warrant was rejected by the Seoul Central District Court due to room for argument about the criminal charges. A spokesperson for the police stated, “We’re almost at the final stages of the corroborative investigation into CEO Lee and Anna. We’re planning to take the necessary measures within this week.” Anna is a Chinese employee who worked at Burning Sun as an MD (a “merchandiser” or club promoter) and who has tested positive for multiple drugs. The police are planning to request an arrest warrant for Anna as well.